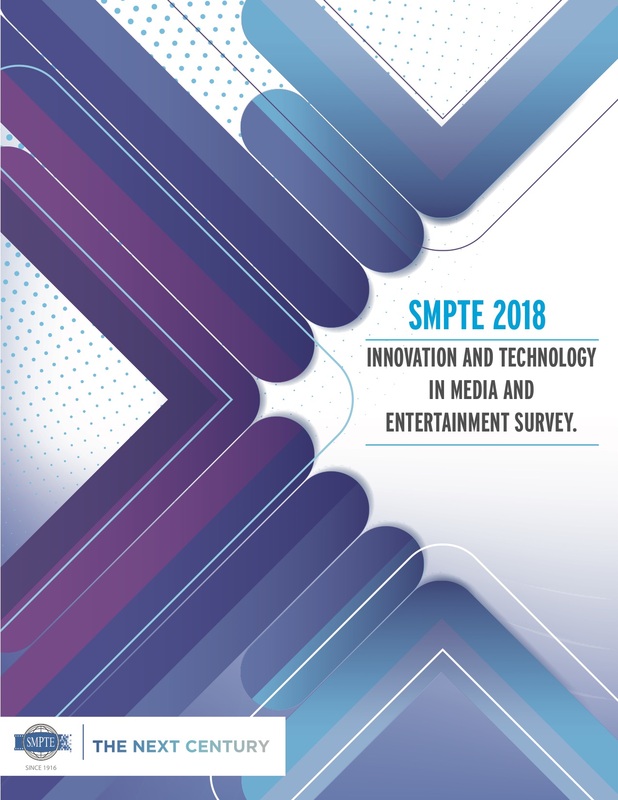 SMPTE has released the results of the SMPTE 2018 Innovation and Technology in Media Entertainment Survey, part of the Society’s ongoing work to provide insight into the critical issues that are transforming the media and entertainment (M&E) technology industry. The survey examined artificial intelligence and machine learning (AI/ML), immersive media, professional media over managed IP networks, and the Better Pixels Project. The SMPTE survey drew more than 200 responses from engineers, managers, directors, and C-suite executives whose organizations operate in the postproduction, production, R&D, distribution, preproduction, and consumption industries. Respondents reported having substantial expertise in engineering, postproduction, R&D, and production, and more than 70% indicated that they have more than 20 years in the industry. Nearly a third of respondents’ companies have 20 or fewer employees, and 60% have 500 or fewer employees. Almost 80% of these companies do business in North America; 50% in the Europe, Middle East, and Africa region (EMEA); 43% in Asia-Pacific; and 36% in Latin America. The survey results highlight the importance of engaging with technologists in emerging areas of innovation to build new business relationships and the value of developing technical standards and workflow conventions that ensure the industry can effectively absorb new technologies into its operations.